Try the Online Demo version right now! You will get the translation within seconds. texts can be copied/pasted from/to any Windows application. (can be downloaded from http://www.microsoft.com/msagent ). 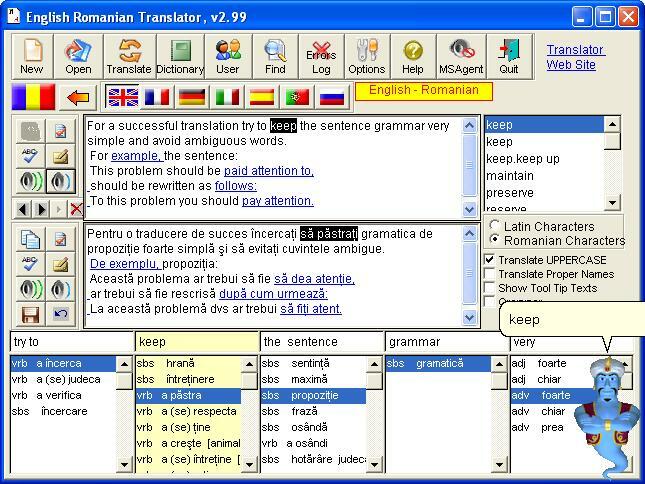 The bidirectional dictionaries contains about 400,000 words and phrases, in total.